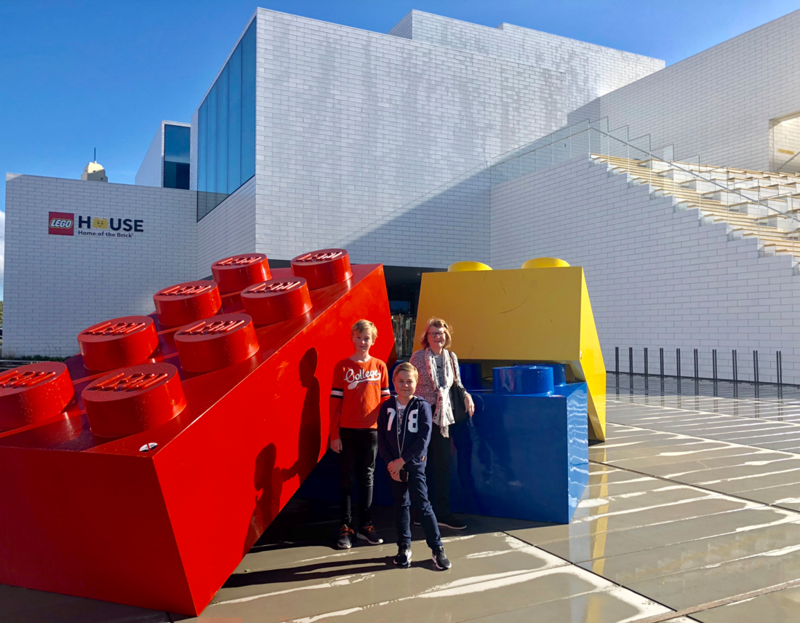 LEGO Ideas display a small selection of past years 10K Club models at Lego House in Billund, Denmark. 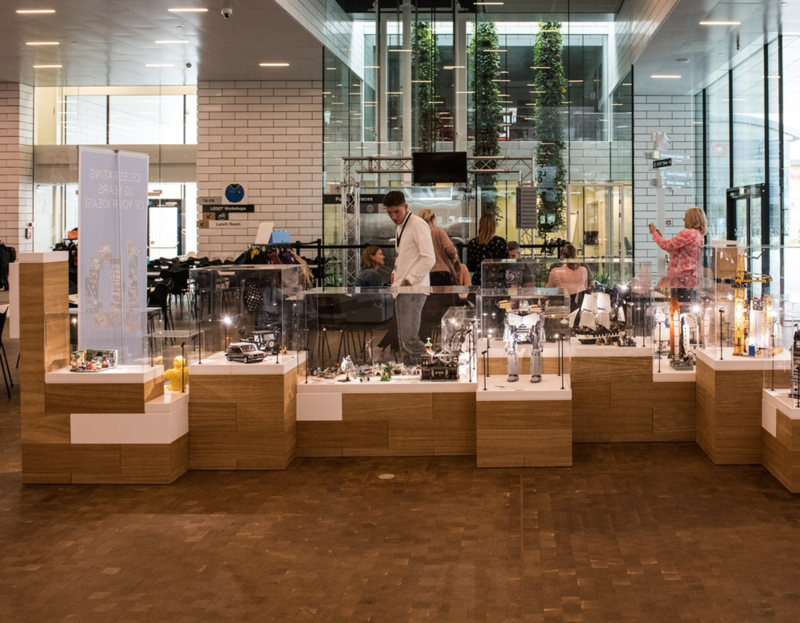 You can see 18 models from 11 different countries until the 8th of October. Make sure you drop by! 10K Club models is a community of members of builders that accomplished at least 10,000 votes on LEGO Ideas homepage. A few of the designs have at some point become an official LEGO Ideas set and been distributed to different stores world wide. Today was an awesome sunny day! 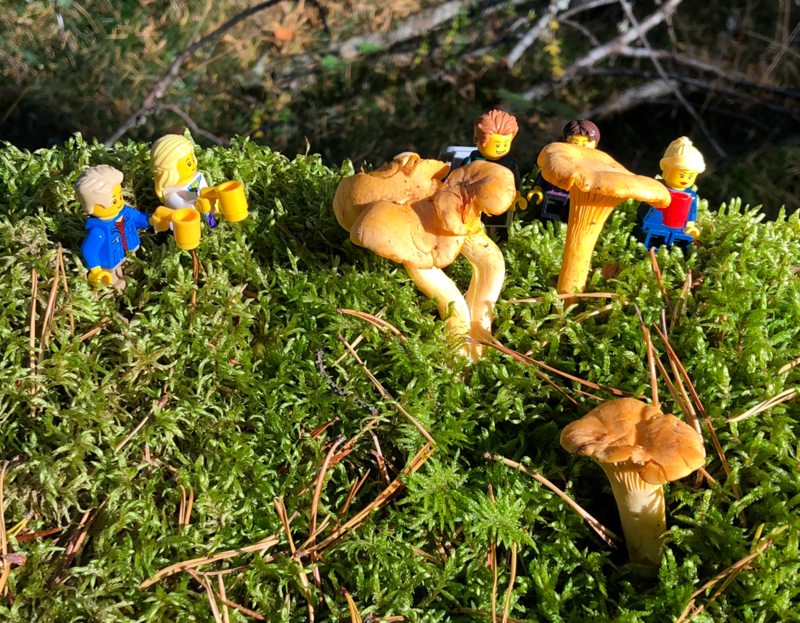 My family went out into the woods to pick chantarelles! 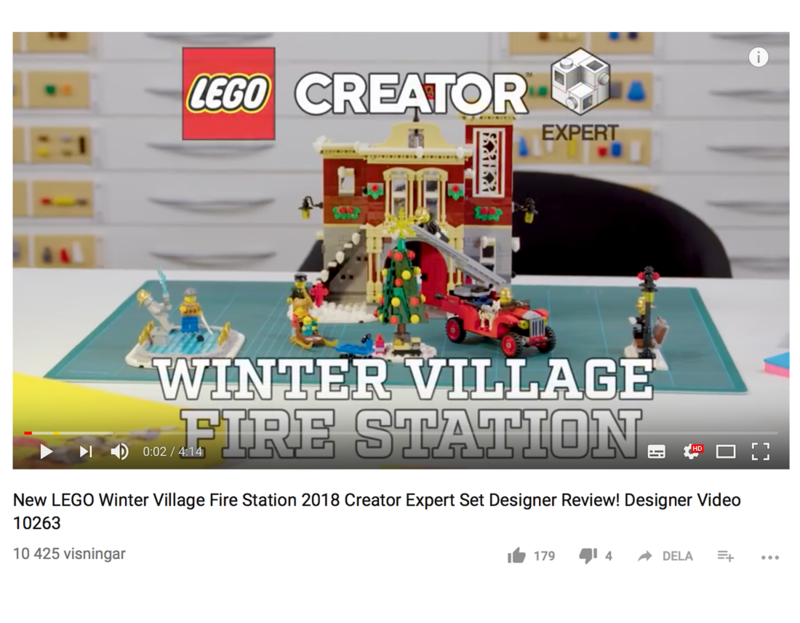 Winter Village Fire Station 2018 video! 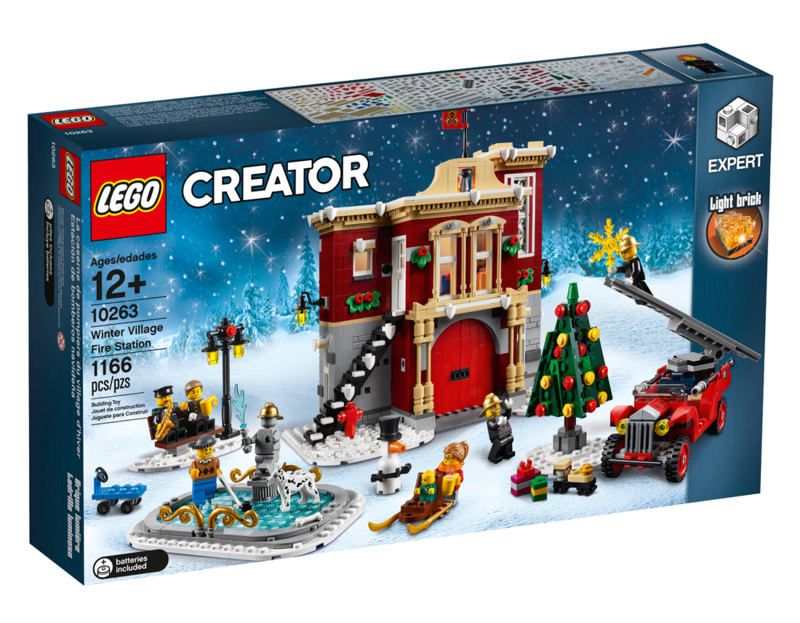 Lego has released their own design video of Winter Village Fire Station. You can read more about the set in my review earlier this week. Watch the video! 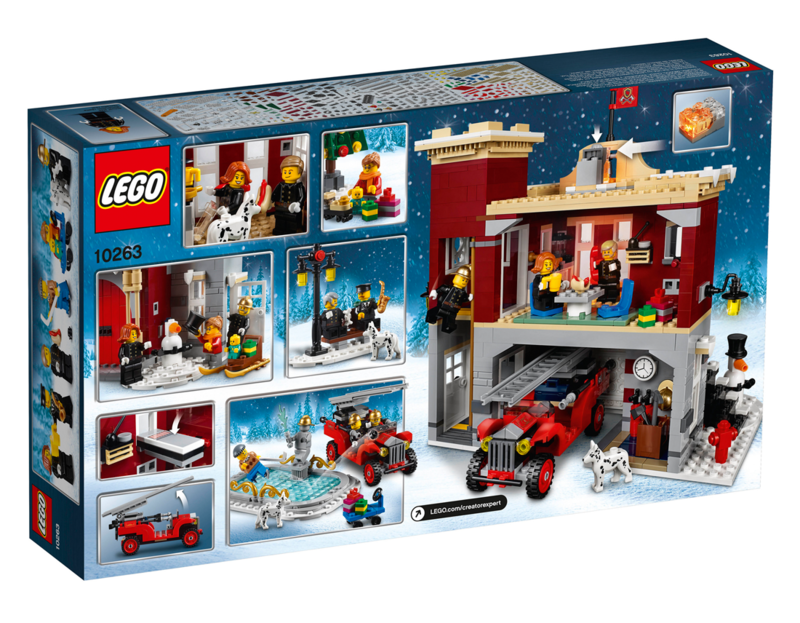 Lego has revealed the annual winter set! This year it’s a classic fire station with 1166 pieces. The colur combination looks good with dark red, tan, grey and a bright red door for the vintage fire truck. An electric light brick for the roof. A small decorated ice skating rink with blue transparent flat tiles, community christmas tree, a traditional bench and a lamp post, snow man and a sled. 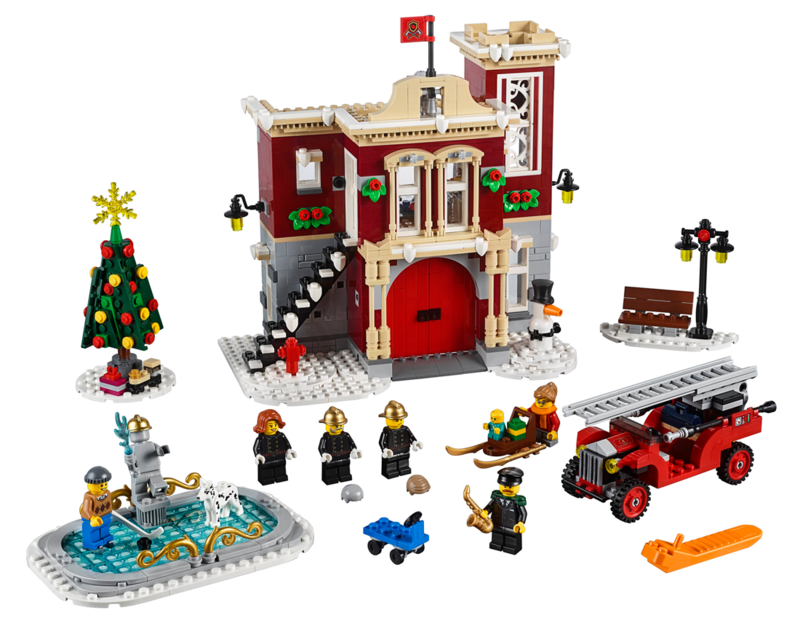 The seven minifigures dominates with various fire station staf and a cute baby with a new special print. Open planned back exterior for easy access to the rooms, kitchen, bedroom with bunk bed and garage. You will receive two brickheadz in this set, 41631. 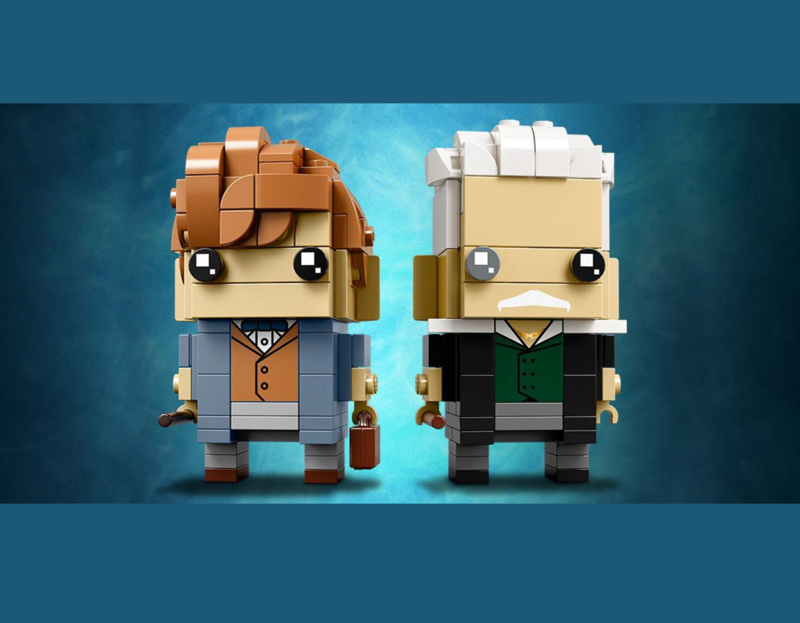 There are Newt Scamander & Gellert Grindelwald from Fantastic Beasts. Newt comes in a good-looking cape, a nice print on his sweater and a cool brick built hair. Grindelwald has a special transparent eye. This is the only thing which might make you suspect he*s not just a nice old man. 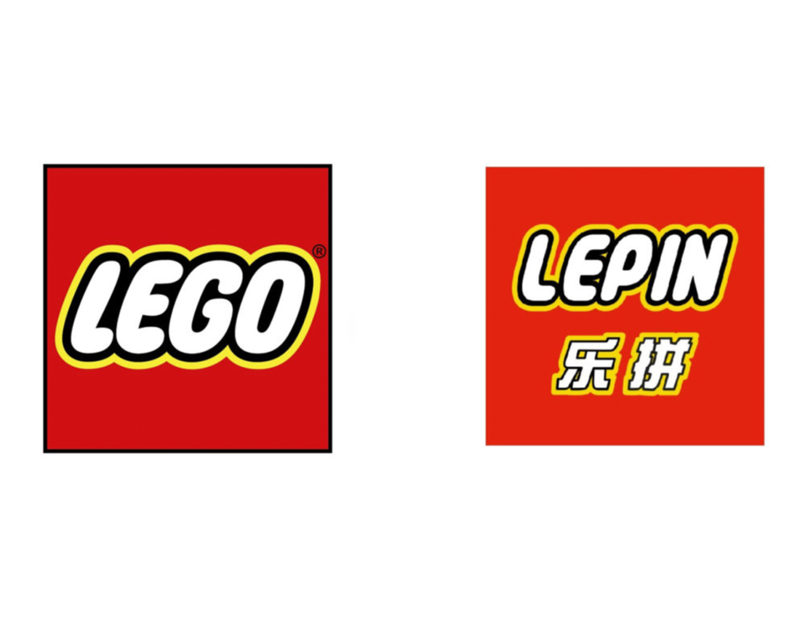 Lego has won a landmark case in China against the Chinese clone manufacturer Lepin. 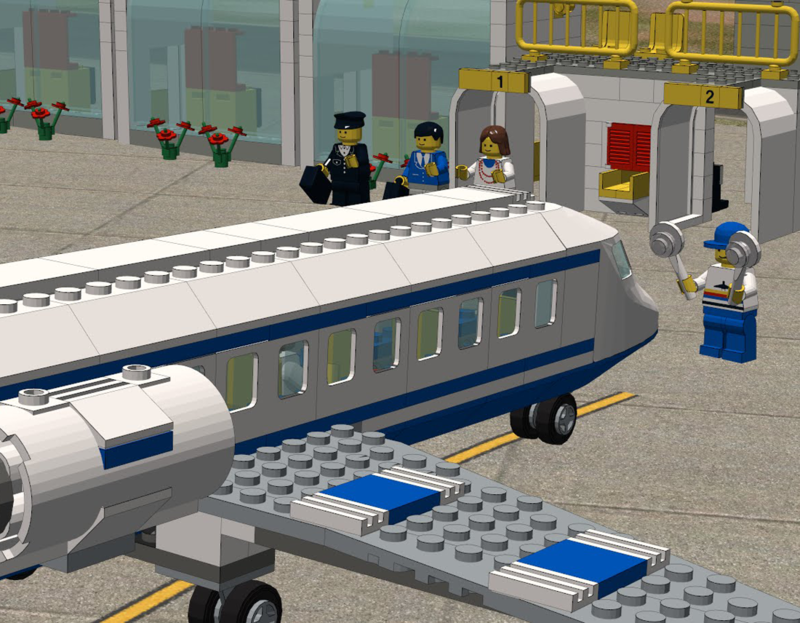 The company has used Lego’s trademark and has been recreating sets and selling them at much lower prices. Lepin has no opportunity to appeal against the court’s decision. 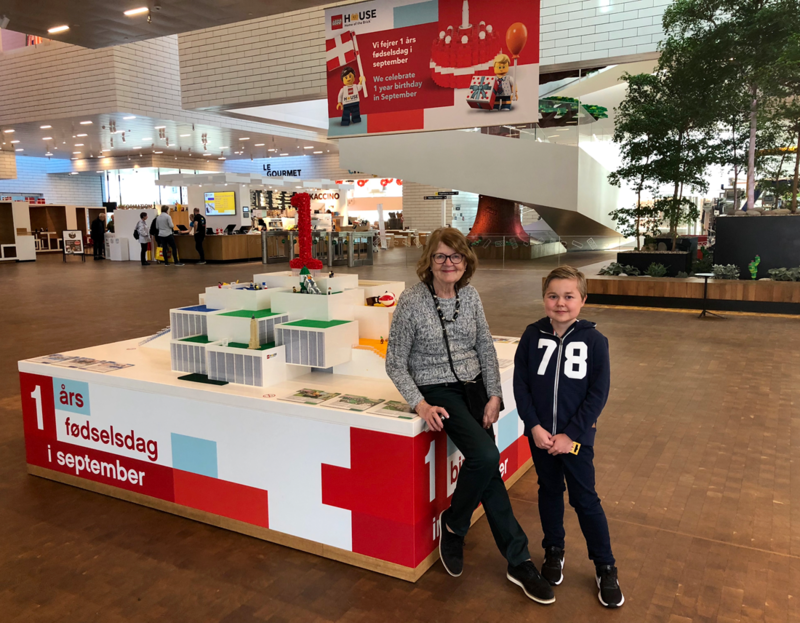 The company has to pay Lego a damage fee of 2.2 millon dollars or 20 MSEK. This is a positive step in order for future business in China. 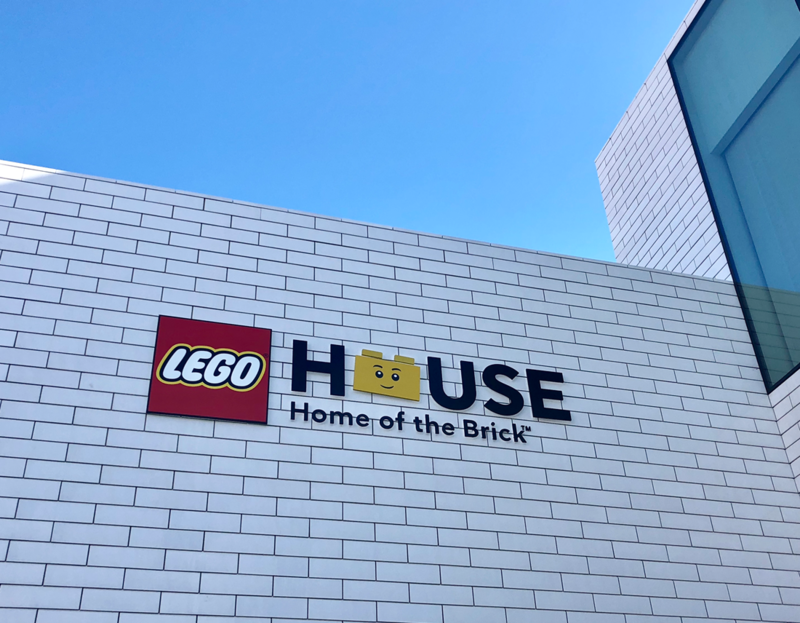 A year has passed since Home of the Bricks grand opening and I was there. 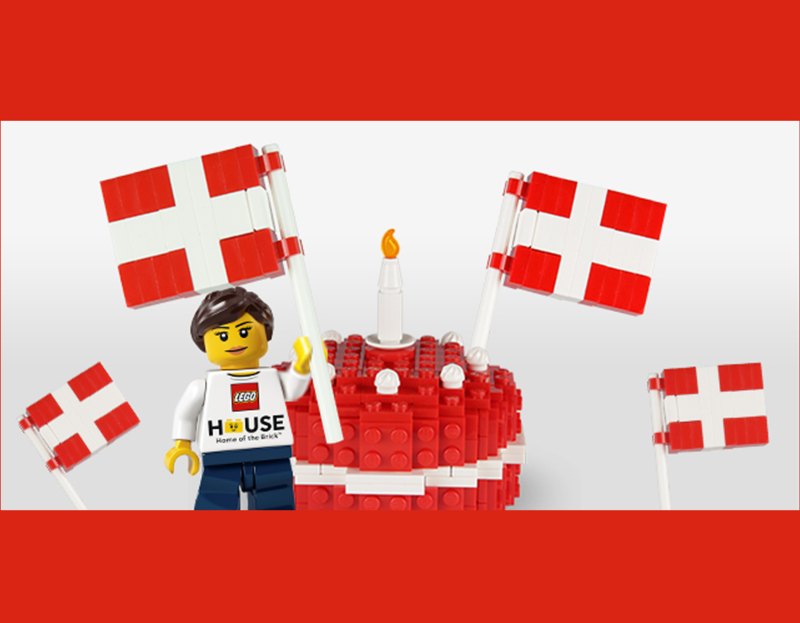 On the 29th of September Lego has a special birthday celebration with fun activities, treasure hunt with special gift, birthday cake – in both bricked and baked versions! Luckily I have the opportunity to participate in the celebration once again. I can’t wait to take a bit of the birthday cake!